HankOrange: New Look for HankOrange! I’m super excited about something HankOrange has going on ‘behind the scenes’ right now. I’m working with a graphic designer to get a new look for HankOrange! 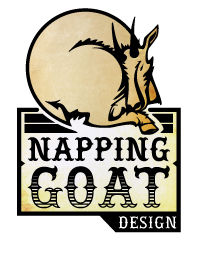 After a recommendation from my brother, I hired Chris at Napping Goat Designs (totally love the name, don’t you?!) to help me come up with a fun new logo. I’m really impressed with Chris and what he has come up with thus far. He is a super talented graphic designer who took the vision of what I had in my head and created it- and better than I had imagined! If you are in need of a new look, new logo, a brochure, really anything related to design- you won’t be disappointed with Napping Goat! Stay tuned for a 'new' HankOrange- coming soon! !